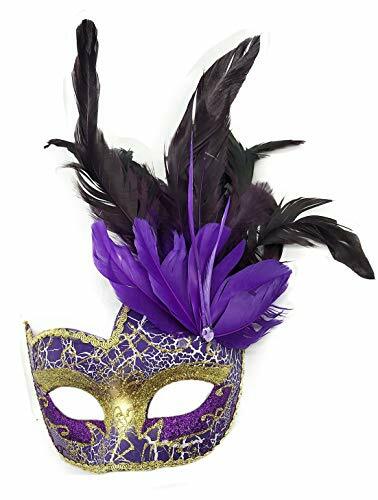 Perfect for Halloween, Christmas party, carnivals, masked ball, masquerade party, mardi gras, wedding, prom, costumes cosplay party, renaissance costumes, fashion shows, mask events ,night club,hen or stage party, theatrical or fancy dress, school performance, etc. 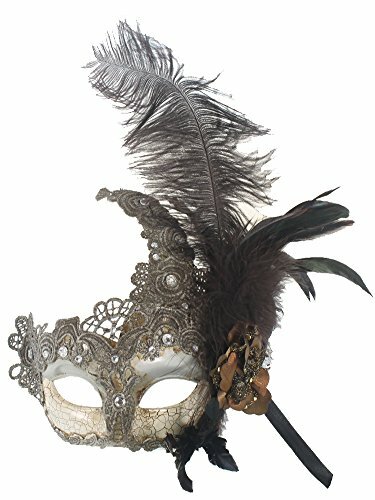 This vintage style fancy masquerade mask is made of paper mache. It is accented with a lace crown and feathers. The mask is painted silver and antique-white. It is about 7 1/2" wide and, with the lace crown, about 9" tall. The feathers are about 13" tall. 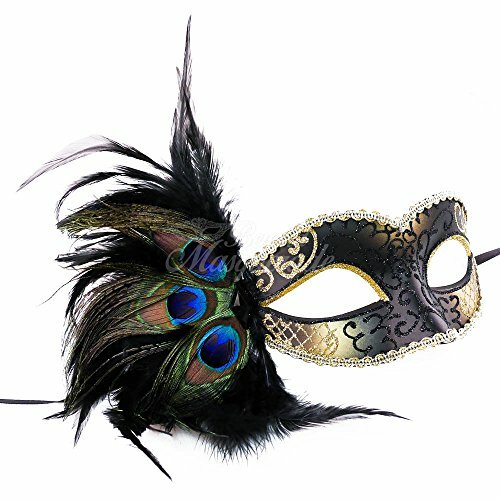 The mask will make a stunning addition to any costume.This mask will fit most adults. 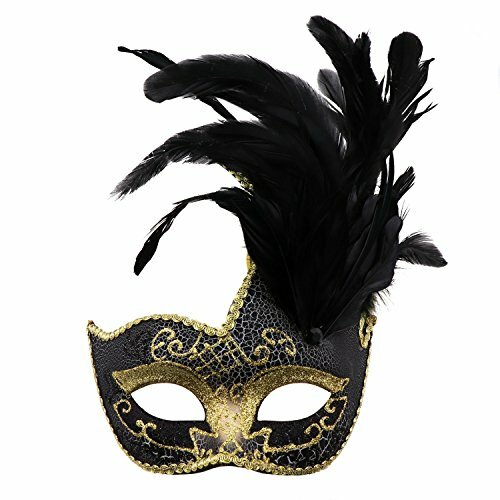 Pretty Luxury Masquerade Masks - Venetian Ball Masks are both Perfect for Men and Women! Very light weight to wear. with Feather Design. 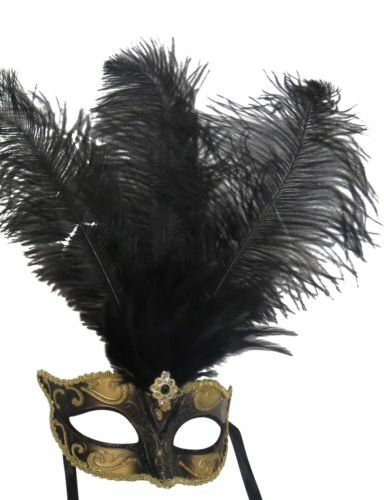 Perfect for masquerade, mardi gras, wedding, prom, fashion shows and costume party. Stand out with our amazing colors, you will definitely gets lots of attention. 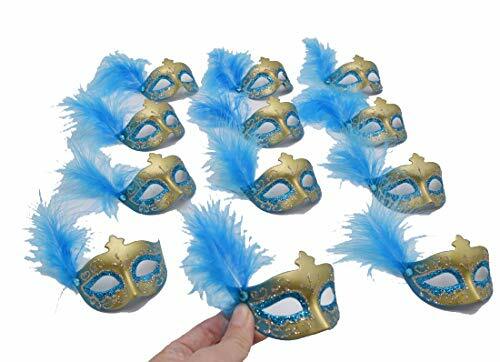 Masks are made with light weight Eco-friendly plastics. Decorated with colorful feather. No flaking of paint, no messy excess glue residue, and no discoloration. One size fits most and can be hand adjusted for a better fit. 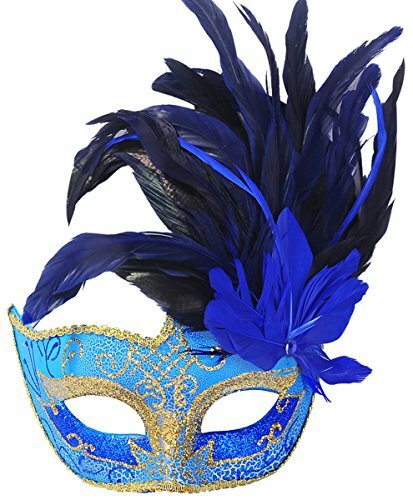 Worn with satin ribbons attached to sides of the mask.